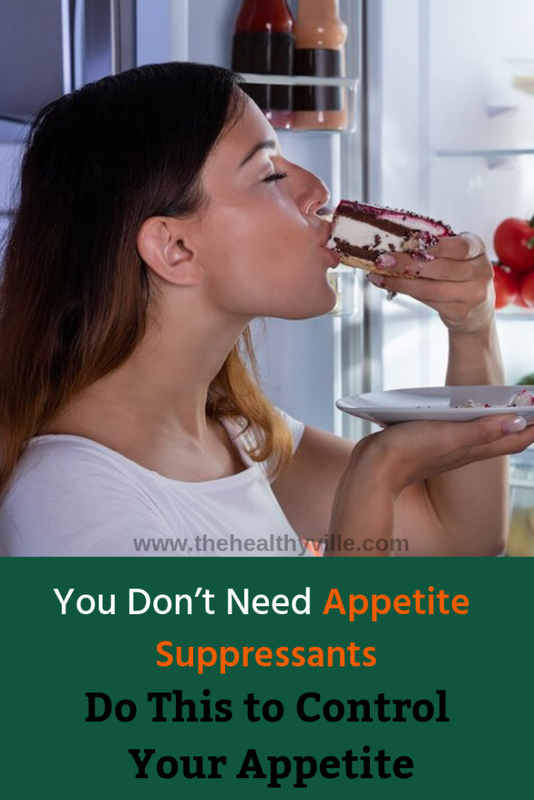 Appetite suppressants are not always the best solution to control your appetite. You can suppress your appetite naturally, using these tricks. To maintain appetite control, it is important to know what foods can act as appetite suppressants thanks to their satiating properties and to avoid those that trigger cravings. Starting with new eating habits is an arduous task. This decision transforms our lives, and the change can generate so much anxiety that it will cause you to eat more, although you know it should be less. Faced with this situation, we will tell you how to strengthen appetite control. There are also times when we have the craving to eat something at unsuitable times. We count the minutes until the lunch hour arrives or we are not satisfied with the portions. It is an uncontrollable feeling that always leads us to break the diet. Falling into this conflict can be counterproductive because our health can be affected. Remember that it is different to be hungry to feel like eating. While the latter is given for emotional reasons, the former does have to be met in a controlled manner. When there is an urgent need to eat, it is necessary to find out the causes that produce this sensation. There is also accompanying this process with a reflection on the solution to the problem. In the first instance, you should look for the reasons and not what satisfies hunger. Obviously, all this is part of a personal introspection. One important thing: in this scenario you have to avoid negative feelings, as they are related to low self-esteem. Remember that when a person feels happy he is also satisfied. At this point, the individual accepts their virtues and defects and achieves greater control over their diet, as they will not have the need to seek satisfaction in external elements such as food. By eating less but more frequently we can keep blood insulin levels stable. This way you will feel energy and will not be attacked by the desire to eat. Fibers, such as vegetables, fruits and vegetables. Proteins, such as lean meats, chicken, eggs, fish, tofu. Healthy fats, including olive oil and nuts. Carbohydrates of slow absorption, such as rice, pasta or whole grain flours and legumes. In every meal there must be foods rich in vitamin B6, tryptophan and folic acid. These three nutrients will help us in controlling appetite. This group helps in the production of serotonin, essential neurotransmitter that allows to feel emotional well-being and to avoid the cravings product of negative feelings. To increase serotonin levels and control your appetite, you must consume satiating foods. Try to include in your diet: eggs, banana, nuts, meats, whole grains. At least two liters of water per day and two glasses of water before each main meal. Hot infusions, many of them help to eliminate toxins. Some are relaxing, such as valerian, lemon balm or passionflower, and will help us control anxiety. Vegetable soups before meals or between meals. This way you will have a greater nutritional contribution and fewer calories to count. In addition, they can be frozen and preserved for a long time. They can be found in foods such as nuts or blue fish. Also in whole grains, wheat germ, oats, brewer’s yeast. In this way, we will not feel so much anxiety and we will favor the production of serotonin. Further info: Full List Of Omega 3 Polyunsaturated Fatty Acids Health Benefits! Do not digest easily. For the control of the appetite the integrals are recommended, because they contribute fiber and have a low glycemic index. Include rice, pasta, whole grain flours, lentils and potatoes in your diet. These foods allow more serotonin to be generated and you will feel more satisfied longer. The magnesium allows to fight the nervousness that ends in anxiety. You can get it in legumes, vegetables, nuts and whole foods. All these tips must be accompanied by constancy. That will only be achieved if you dedicate a few minutes to organize. With greater organization you will have more time to eat and thus you will be able to chew calmly, without haste. Take about 25 minutes for each meal. Appetite control is not a scientific issue. You just have to know that food is not a matter of troubles and a lot of attention. You already know what to eat and how to do it. In the face of uncontrollable desire, keep calm and apply all the aforementioned tips. Don’t forget to SHARE the natural appetite suppressants with your friends and family members on your social networks!